• The movement of antisense therapy as a genetic form of ALS in clinical trials. • The identification of C9orf72 gene; the single most important discovery in the field of ALS in two decades. • The use of induced pluripotent stem cells that are generated from individual skin cells for drug development. The ALS association provides an assortment of grants and awards to scientists and private pharmaceutical research companies to accelerate the development of treatments in pursuit of a cure for this disease. On a public education and awareness front with tools such as social media, the Internet, and other media public relations programs, the ALS association continues to raise awareness about the ALS disease as well as the unceasing search for a cure. 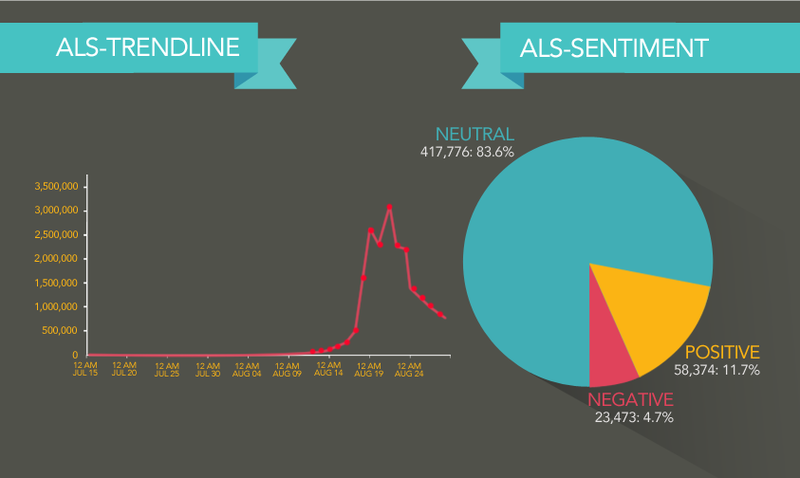 On average, there are approximately 250,000 hits on the ALS website. While ALS was not a virtually unknown disease, it was not widely discussed. In June of 2014 – this all changed. In simple terms, the Ice Bucket Challenge is a philanthropic social marketing experiment in which a person is to pour a bucket of ice water over their head, or donate to charity. Then, they are to nominate 3 other individuals to do the same, continuing the viral chain. It has been mostly associated with the ALS Foundation. Though it’s true origins are almost untraceable, Chris Kennedy, a professional golfer, initiated the ALS leg of the viral marketing campaign. His Swing Coach, Jon Bullas, nominated him. Jon Bullas and Bullas was also previously nominated by Kennedy’s trainer, James Whatmore. From there, the viral chain seems to flow further into professional athlete groups. Some say it’s origins even come from the viral ‘Cold Water Challenge’ that went viral in early 2014. Originally, the ice bucket challenge gave the person the choice of charity. But it was Kennedy who initiated the ALS train since his wife’s cousin had ALS. After posting it to Facebook and Twitter, friends and family of Kennedy’s started doing the challenge in the name of ALS as well. It quickly started to gain some traction in New York, and soon landed in the hands of Pat Quinn, an ALS diagnosed advocate. 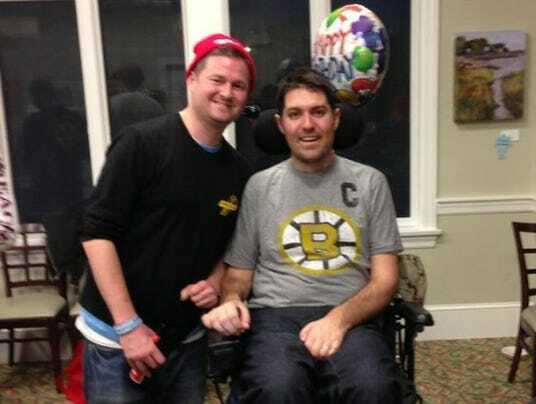 Quinn then brought it to the attention of Peter Frates, who was also an ALS cure advocate. It was Quinn and Frates who transformed the already ongoing viral campaign and branded it into the ALS Ice Bucket Challenge we all know today. On July 31, Frates posted his own video, and that’s when the campaign really went viral. Through the usage of Facebook, Twitter, Instagram and Vine – the promotion of this viral campaign brought forth more than just a task which people young and old took part of, it brought attention to awareness, the funds raised and the global unity. Donations Raised: Since the debut of the ALS Ice Bucket Challenge, over $100 million dollars was raised for the ALS Association alone; outside of the other contributions from other ALS charities like the Motor Neurone Disease Association and the ALS Therapy Development Institute. Global Unity: The Ice Bucket Challenge brought forward global attention worldwide – with participants from all over coming forward to take a stance on ALS. Though the online campaign generated over $100 million for the ALS Association, it did receive some negative responses. These arguments are usually geared towards environmental or economical factors, while some even make a moralistic standpoint. Slactivism: a combination of the word slack and activism and stands for online engagement for a cause that requires very little time, effort or real-world involvement. And begs the big question on whether people who have dumped water over their heads have donated money or even know what ALS is. The success of the ALS Ice Bucket Challenge was associated to taking a concept of a current ongoing viral train, and utilizing it to drive awareness and donations to the cause. Social media and the Internet is more than just a way to stay connected, or have an abundance of research at your fingertips. It promotes awareness on causes people would have otherwise remained ignorant to, keeps people engaged and reminds us of the growing need to be an active participant in charities that we connect to.